In British Columbia, the Ministry of Forests will lead the largest ever forestry trade mission to Asia; Liberal MLAs call on Premier to stand up for rural forestry workers threatened by shrinking timber supply; province launches new land guardian program that supports priorities of Haida Nation; and NRCan announces funding for two First Nation projects in BC supporting milling and forest management. In the US, more on the farm bill and forestry thinning to prevent wildfires; frogs in the Supreme Court; and the fate of the Alaska cedar. Finally, a UK-based company has plans to install a biofuel plant in Newfoundland, revitalizing the local forestry industry. If all goes according to plan, the forthcoming G20 meeting in Buenos Aires will be the site of a low-key signing ceremony for the United States-Mexico-Canada Agreement. To be honest, and after 13-months of gruelling trilateral negotiations, that’s the easy part.The central problem lies in the actual final ratification of the North American trade pact. More specifically, after the November U.S. midterm elections, the Democrats will control the House of Representatives in early January 2019—along with chairing and dominating the pivotal House Ways and Means Committee, which needs to approve the deal before it goes for a full House vote. 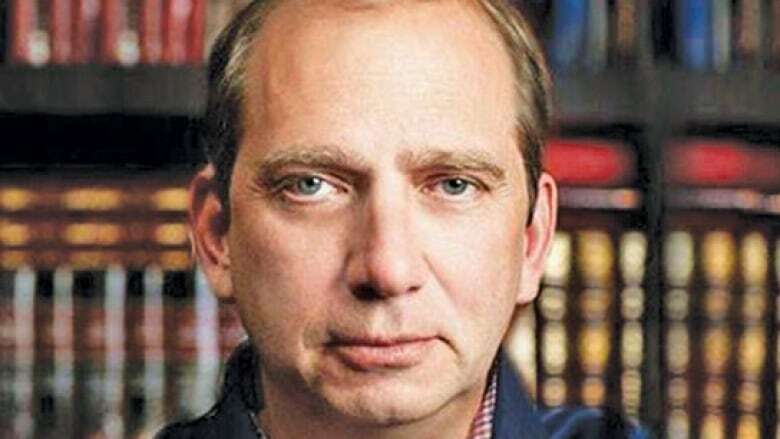 …The point here is that the Democrats want to take a pot shot at President Donald Trump as they put their own stamp, and tweaking, on the USMCA. And that’s all part of how they plan to sell the deal to their partisans in 2020. It’s the biggest forestry trade mission BC has ever put together according to Forestry Minister Doug Donaldson. He along with forty other members are heading to Asia from December 5th to 14th to strengthen relations with China, Japan, and South Korea. The Stikine MLA believes building these partnerships across the pond is crucial especially since no deal is in place with the Americans. …“We have to diversify our markets and continue that trend of diversification so we’re not singularly beholden to the Americans for our export products in wood and this kind of trade mission enables us to just build relationships and sign memorandums of understanding.” …Three memorandums of understanding will be signed in China to advance the use of wood construction with government initiatives. B.C. Liberals are once again throwing punches at the NDP government over the plight of forestry workers in rural areas of the province. In a press release issued today, Cariboo and Nechako MLAs are calling out Premier John Horgan for his “silence” as the forestry industry suffers with reduced timber supply. “Every day we are seeing more and more jobs vanish in rural and northern British Columbia with mill closures due to a shortage of timber supply,” said Rural Development critic and Cariboo-Chilcotin MLA Donna Barnett. …Mills across Northern and Interior B.C. have been forced to close or reduce shifts due to the timber shortage. …Minister Doug Donaldson said the NDP government is merely picking up the slack from the Liberals, and pointed to the NDP government’s funding for forestry-sector revitalization initiatives, including projects in Quesnel. Active Energy Group (AEG) has officially been awarded forestry permits to operate on the Great Northern Peninsula. 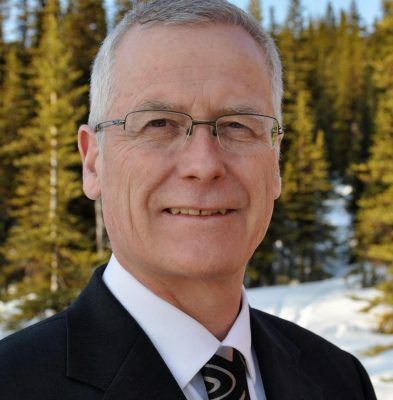 On Monday, Nov. 26, Fisheries and Land Resources Minister Gerry Byrne confirmed to The Northern Pen that the company had been issued two five-year commercial timber permits for forestry management areas 17 and 18. Both areas are located on the Great Northern Peninsula. Byrne says the permits were issued late Friday evening, Nov. 23. The confirmation comes after a week of confusion and a “he said-they said” volley of words. It all began Monday, Nov. 19 when Active Energy Group announced approval of the permits. It sounded like good news for many people in the region who had been hoping for a deal for over a year, to revitalize the local forestry industry. It’s been a long time in the works, but the Great Northern Peninsula now has a new major player on the forestry scene. Active Energy is a U.K.-based company with a local subsidiary, Timberlands Newfoundland, and plans for a biofuel plant that would put dozens of people to work in the region. Richard Spinks, managing director of the subsidiary, isn’t saying yet where the plant will be located. “It’s a GNP-wide project at this point and we hope to see benefit for all the communities on the GNP,” he told CBC’s Newfoundland Morning. On Monday the company announced a deal with the provincial Department of Fisheries and Land Resources, where they would have access to 100,000 cubic metres for five years. They will cut in forestry management areas 17 and 18, which encompass the entire northern peninsula. PORT TOWNSEND — The state Department of Natural Resources timber volume projections for 2019 shows the largest increase is slated for Jefferson County. A volume of 9.61 million board feet and net value of timber under contract for 2019 in Jefferson County is projected at $2.65 million. Mona Griswold, DNR regional manager and Drew Rosanbalm, DNR state lands assistant, presented revenue projections and a review of potential harvest sales during the Jefferson County commissioners meeting Monday. Revenues to the county from state forest land transfers and purchases was $1.25 million for January through September from a total of $47.74 million for all lands statewide. Projected revenues October through December are $2.86 million. Revenue projections for 2019 are around $4 million. Rosanbalm told the commissioners that there is projected to be an influx of private wood going to mills and that could affect prices next year. 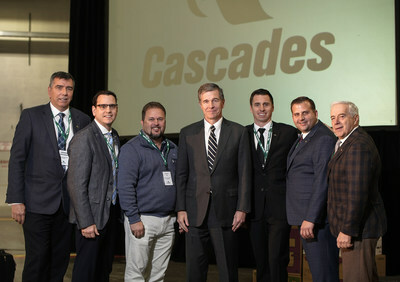 WAGRAM, NC – Cascades Inc., a leader in the recovery and manufacturing of green packaging and tissue products, is pleased to announce an investment of US$58 million in its Wagram plant in North Carolina that will modernize the plant and add new tissue converting equipment. These project investments are part of the capital expenditure envelope previously announced by the Company. The project will involve the installation of five new state-of-the-art converting lines and the modernization of four existing lines. Sixty-six full time employees will be hired to operate the new equipment, and an additional 50 temporary jobs will be created to prepare the building and install the equipment. The commissioning of the new converting lines is expected to begin in April 2019 and will be finalized in the first quarter of 2020. LEXINGTON, N.C. – Wood materials manufacturer Egger has started construction on its first U.S. particleboard manufacturing plant here in Davidson County, N.C. Construction began after the company received an air quality permit from the North Carolina Department of Environmental Quality. The facility, which will employ as many as 400 over the next six years, is expected to open in 2020, allowing Egger to better serve its customers in North America, including architects, designers and wholesalers as well as customers in the residential furniture industry. MLA Dan Ashton presented the Save Carmi Recreation Trails Group’s petition to the Legislative Assembly of British Columbia on Nov. 26. This petition is in response to the planned logging that will be taking place in 2019 just 10 minutes outside of Penticton that will see popular recreation trails widened and used as logging roads. Ashton said the petition had garnered at least 1,600 signatures since he last checked and his office had also received numerous letters from individuals expressing their concerns with the project. “I presented the petition yesterday and it was received by the Legislative Assembly. I also presented a copy of the petition along with some other documentation that had been forwarded to me by the (Save Carmi Recreational Trails) group, which I personally delivered to Hon. Doug Donaldson (Minister of Forests, Lands, Natural Resource Operations and Rural Development),” said Ashton. Mark Grinder knows he is about to embark upon something big. The 41-year-old is the first person hired as a Haida fish, wildlife and land guardian with the Haida Gwaii Integrated Natural Resource Compliance and Enforcement Unit, and he cannot help but feel proud. “I grew up with an uncle who was an RCMP and there was something about being in a uniform, serving the public and leading by example,” said Grinder, a member of the Skidegate band and who previously worked as a fisheries guardian for the Haida Nation. …In 2009, a pilot project was approved for the development of an integrated approach to compliance and enforcement on Haida Gwaii. The approach would bring together the B.C. Conservation Officer Service (COS), Natural Resource Officers and the Council of the Haida Nation into an integrated unit, supporting the interests and priorities of the Haida Nation and the Province. WILLIAMS LAKE, BC …Canada’s Minister of Natural Resources, the Honourable Amarjeet Sohi, today formally announced a multi-year $321,500 investment in two Indigenous forestry projects in British Columbia that will create jobs and boost the local economy. The first investment of $173,500 helped the Yune’sit’in Government support the business planning of an Indigenous-owned milling operation. The project, in partnership with Tolko Industries Ltd. and the Cariboo Chilcotin Aboriginal Training Employment Centre. …The second investment of $148,000 helped train Esk-etemc First Nation community members in forest management, environmental monitoring, business development. WASHINGTON- An increasingly fierce debate about how to prevent deadly wildfires in California is threatening to endanger crucial crop insurance for farmers in Kansas and Missouri. In the wake of wildfires that killed at least 88 people this month, President Donald Trump’s administration is pressuring Congress to include provisions in the farm policy bill that would roll back regulations on forest-thinning projects — a move the administration says would save lives and property. “We cannot waste a crisis. … We need to treat more acres,” U.S Forest Service Chief Vicki Christiansen said Monday while visiting Paradise, Calif., where hundreds remain missing after the Camp Fire tore through the Northern California town earlier this month. …Environmental groups and many Democrats are staunchly opposed to the Republican-backed forestry measures, which are included in the version of the farm bill the GOP-led House passed earlier this year. The U.S. Supreme Court told a lower court to take another look at the federal designation of privately owned land in Louisiana as critical habitat for the endangered dusky gopher frog. Ruling unanimously in a case involving Weyerhaeuser Co., the justices called for a closer look at the meaning of the word “habitat” in the U.S. Endangered Species Act. Weyerhaeuser, which owns part of the land, said the designation was improper because the animal doesn’t live on the property and couldn’t do so without modifications to the land. Weyerhaeuser is harvesting timber on the land and says the owners are planning to develop the 1,500-acre property later. During arguments in October, the justices had seemed divided on whether the law’s definition of “habitat” left open the possibility that modifications would be needed. PORT TOWNSEND — The state Department of Natural Resources timber volume projections for 2019 shows the largest increase is slated for Jefferson County. A volume of 9.61 million board feet and net value of timber under contract for 2019 in Jefferson County is projected at $2.65 million. Mona Griswold, DNR regional manager and Drew Rosanbalm, DNR state lands assistant, presented revenue projections and a review of potential harvest sales during the Jefferson County commissioners meeting Monday. …Rosanbalm told the commissioners that there is projected to be an influx of private wood going to mills and that could affect prices next year. He said that alder wood is a surprise source of revenue. Shane Jones could hire the Prime Minister to work on his tree-planting schemes – and she’d get a pay rise – based on the fuzzy economics of the Provincial Growth Fund, National’s Economic and Regional Development spokesperson Paul Goldsmith says. “The Minister’s own officials have estimated the $485 million forestry injection from the PGF would create 1,000 jobs. That’s half the number Mr Jones sometimes cites and works out at $485,000 per job, or $15,000 more than the Prime Minister earns in a year. “When asked about his ambitious target, the Minister gave a facetious reply, saying New Zealanders should be prepared to wait as much as 100 years, the time it takes for a Totara to grow, for that sort of result. “Unfortunately that may be a best-case scenario because it doesn’t take into account jobs lost from the sheep and beef sector when farmland is converted to forestry. A new New South Wales forestry agreement could intensify logging in an area described as a ‘global treasure’, but a young boy wants the timber industry to come clean about the true impact of logging. The new rules governing native forestry operations on public lands were finalised and released this month after extensive public consultation. …Some of the areas in the Coffs Harbour hinterland, which could face increased logging, form part of what is known as the Great Koala National Park proposal, the subject of a campaign to turn 175,000ha of state forest into a national park. 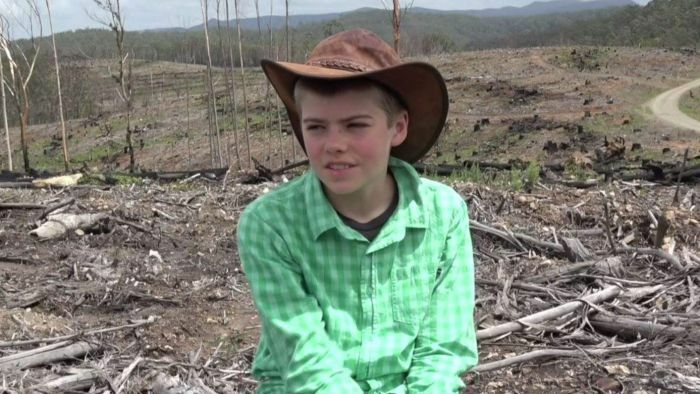 So when 12-year-old Morrow Taplin learnt that the forest backing onto his own bush property could be the next intensive logging zone, he was compelled to make a film. British Columbia’s government and business leaders have signed a first-of-its-kind agreement to establish B.C. as a world leader in delivering low-carbon goods and services to domestic and global markets. This commitment comes through a memorandum of understanding (MOU) that has been signed and released by government and the Business Council of British Columbia. Under the MOU, the parties will work together to develop an industrial strategy that transitions B.C. into a low-carbon economy leader. … “B.C. is uniquely positioned as a destination and supplier of choice for industry looking to drive low-carbon economic growth and opportunities,” said Premier John Horgan. …“This joint initiative will enable British Columbia industries to become competitive global suppliers of lower-carbon commodities, goods and innovations that will reduce climate change impacts in emissions-intensive countries abroad,” said Greg D’Avignon, president and chief executive officer, Business Council of British Columbia. Ice melting, seas rising, longer droughts—in a world seemingly on fire, I chose to put myself in some of the worst of it. The Alexander Archipelago in Southeast Alaska is a collection of thousands of islands in one of the scarce pockets remaining on this planet where thick moss blankets the forest floor and trees range from tiny seedlings to ancient giants. But I wasn’t loading into that Cessna four-seater to look for fairy-tale forests of spruce, hemlock, and cedar. I was flying in search of mass graveyards of standing dead trees and the plants I so wanted to believe could tell me, through science, that maybe the world is not coming to an end through warming. Eventually, those dying trees would give me a sense of conviction about our ability to cope with climate change. …The species is Callitropsis nootkatensis. Some people call it the Alaska cedar.